For the fourth report in a row, Veracode is recognized as a “Leader” in the Gartner Magic Quadrant. The position is based on our completeness of vision and... The Gartner Magic Quadrant for AST (Application Security Testing) report is published annually by the advisory firm Gartner Group. Thus, throughout the year, Gartner conducts extensive research on each vendor and solution to conclude which vendors will be placed in the following quadrants: Leaders, Challengers, Visionaries, and Niche Players. 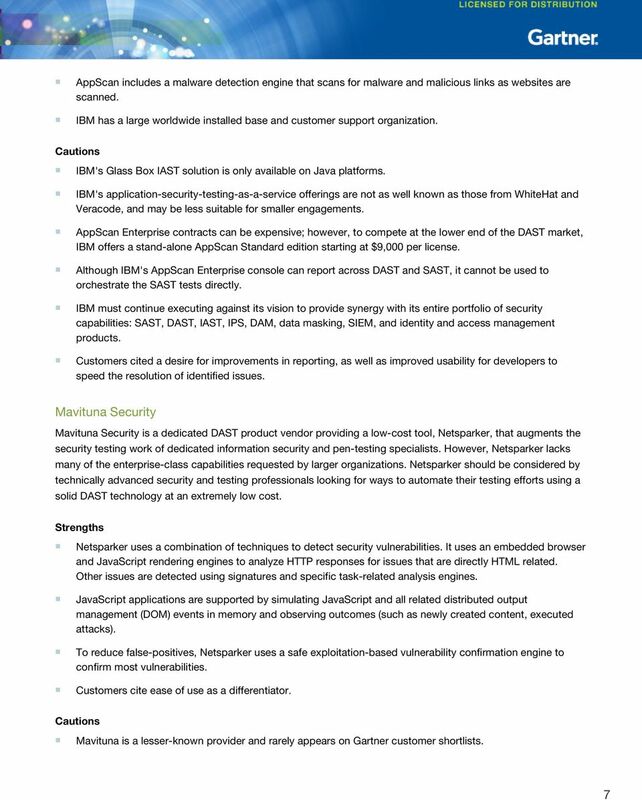 Gartner, “Magic Quadrant for Application Security Testing,” Ayal Tirosh, Dionisio Zumerle, Mark Horvath, 19 March 2018. Gartner, “Magic Quadrant for Web Application Firewalls,” Jeremy D’Hoinne, Adam Hils, et al., 7 August 2017.